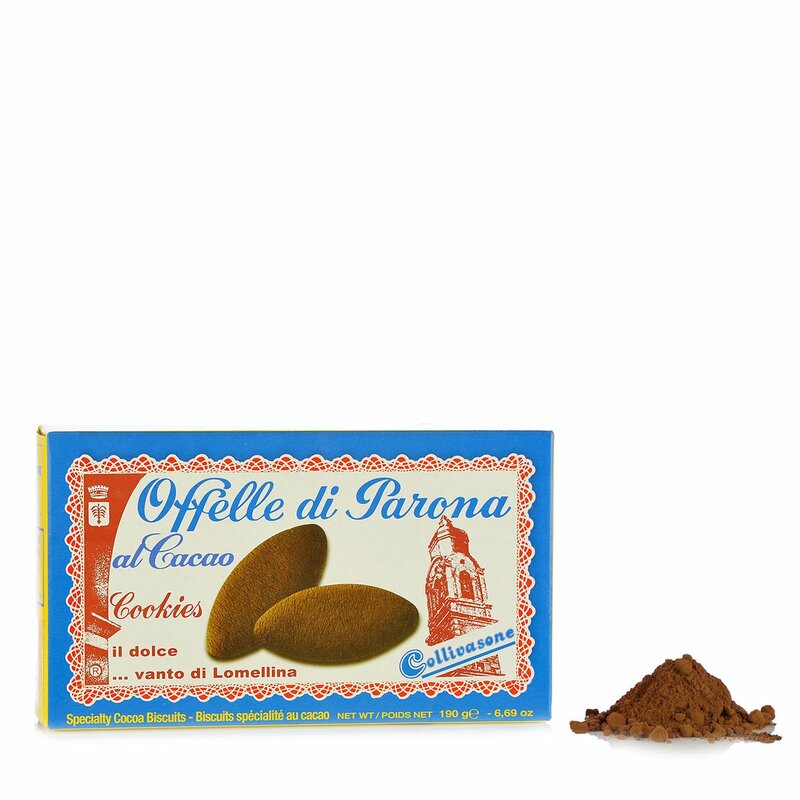 Offella di Parona are typical biscuits from the province of Pavia in Lombardy. A delicate pastry biscuit made from wholesome ingredients: just soft wheat flour, sugar, fresh eggs and olive oil. Sample it in this indulgent version with the addition of cocoa! Ingredients "0" type soft wheat flour, butter, sugar, eggs, cocoa powder 4%, fructose, olive oil, raising agents: disodium diphosphate, bicarbonate of soda, starch. For more information on product labels, please contact our Customer Service department. The information on the labels of the products may vary for reasons beyond our control, therefore, there may be discrepancies between the information on the site and that on the products delivered. Please always check the information on the product before consumption or use. Forno F.lli Collivasone is one of the primary makers of the famous Offelle di Parona biscuits. The company is licensed to use the brand names and patents protecting this delicious speciality product and has helped to bring it to renown based, in particular, on the impeccable quality that is a hallmark of all the bakery's products.